When President Trump on Friday (Sept. 22) decided to use an Alabama campaign rally to lambast NFL players who didn’t stand for the national anthem, NFL owners who didn’t fire those players and the league itself for trying to cut back on hits suspected of contributing to brain damage, he unleashed a firestorm of criticism on social media – some of it pointing to his perceived failings as an owner and power broker in the short-lived, 1980s-era United States Football League. For Florida sports aficionados, it also may have brought back memories of how the USFL, and to an extent, Trump’s involvement in it, had a lasting impact on professional and college football in the Sunshine State. 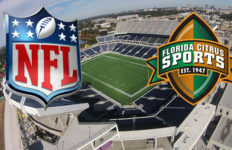 In existence from 1983 to 1985, the USFL provided the most serious competition the NFL had faced since the American Football League of the 1960s. The AFL brought professional football to Florida in the form of the Miami Dolphins and was so successful it eventually merged with the NFL. The USFL suffered a decidedly different fate, and Trump was at the center of its ignominious ending. The league made a big splash initially, for two reasons. 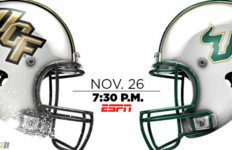 Armed with a study showing Americans would watch football year-round, its big “hook” was playing football in the spring and summer rather than competing directly with the NFL in the fall and winter. Then, shortly before its inaugural season, the league’s cornerstone franchise – New Jersey Generals – signed reigning Heisman Trophy winner Herschel Walker even though Walker had a year’s eligibility remaining at Georgia. Signing underclassmen was taboo back then. The move angered college coaches, but it put the Generals and the USFL on the map. Walker had a successful first season rushing for nearly 2,000 yards in an 18-game schedule, but the Generals themselves were a flop. Thanks to a terrible defense and upheaval at the quarterback position, the Generals went 6-12 that first year. The Generals’ original owner, Oklahoma oilman J. Walter Duncan, found team ownership less rewarding than he hoped, and he didn’t enjoy commuting to the New York City area for games. He decided the team would be better served by local ownership. Enter New York real estate developer Donald J. Trump, who bought the Generals for a reported $9 million and set about trying to make the USFL great, in this case for the first time. The USFL was how most Americans first became aware of Trump, and listening to his interviews from the era is to hear a distant echo of a presidential campaign that lay more than 30 years in the future. Trump’s arrival of the scene dramatically affected Florida football in two key ways. 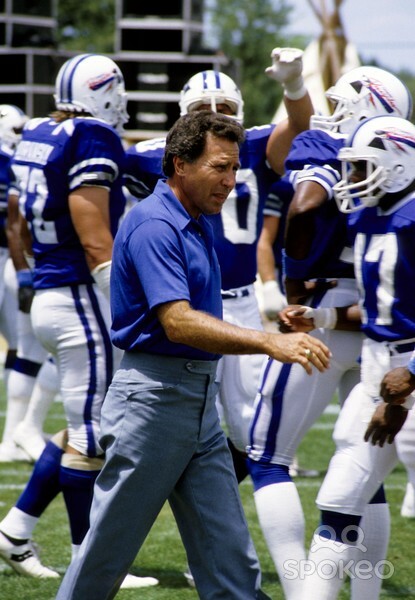 First, he immediately fired Generals coach Chuck Fairbanks and tried to hire Don Shula away from the Dolphins. Legend has it that Shula actually considered the offer but the deal fell apart when Shula insisted on a condominium in Trump Tower as part of his compensation. If the story is accurate, it would be odd since Trump presumably would have had condo space to spare. For want of a nail . . . The future president also joined the league just as it decided to expand significantly in 1984, and that move would truly resonate in Florida. 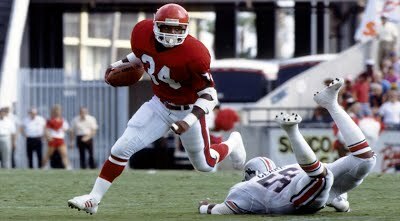 It should be noted that the USFL was in the state from the outset, with the Tampa Bay Bandits one of the 12 founding franchises and by far the most successful of the three teams that ultimately would play in Florida. The Bandits had a winning record all three seasons and made the playoffs in the final two. They were the first head-coaching destination for Steve Spurrier, the former UF Heisman Trophy winner and future Gators coaching legend. 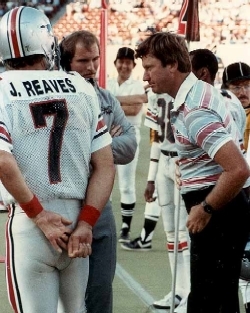 The Bandits were the best Florida USFL team, with Spurrier, right, as coach, and fellow UF alum John Reaves at QB. The Bandits were owned by Canadian businessman John Bassett, who had a history of owning sports teams in maverick leagues (including the 1970s-era World Hockey Association and the short-lived World Football League). Bassett operated a real-estate business in Sarasota, was the only USFL owner to control his team all three seasons of the league’s existence and thought the Bandits had a legitimate chance to supplant the Buccaneers as Tampa Bay’s favorite football team – if the USFL stuck to its spring/summer business model. His death shortly before the end of the league’s final season also signaled the death of the USFL’s commitment to spring football. It was during the 1984 expansion that the USFL added six teams, including a second Florida franchise – the Jacksonville Bulls. The Bulls were competitive enough (15-21 in two seasons), drawing big crowds to the Gator Bowl and maintaining a reasonable level of financial stability. (Ultimately, four of their six expansion brethren either folded or were merged into existing franchises). Florida eventually got a third franchise when the struggling Washington Federals moved from the nation’s capital in 1985 to Orlando and became the Renegades. The team’s biggest claim to fame is that its coach was future ESPN star Lee Corso, who has continued to live in Central Florida and to this day serves as a community booster. The Orlando Renegades were the state’s final USFL team, coached by Lee Corso. The Renegades story is most important, though, because it is directly tied to Trump’s vision for the USFL and the league’s ultimate demise. In early 1984, the league announced it was going to put a team in Miami for the 1985 season. Initially it was to be a new franchise, but then later the plan shifted to relocating Federals franchise. It was to be called the Spirit of Miami, and the team lured Howard Schnellenberger, fresh off leading the Miami Hurricanes to their first national championship, to become the team’s head coach and a part owner. The team never came to be, though, because – at Trump’s insistence – the league began to discuss switching to a fall schedule. The prospective Miami ownership group wanted no part of battling Shula’s powerhouse Dolphins for fan loyalty, so a new owner bought the Federals and moved them to Orlando. The Hurricanes, meanwhile, had to scramble for a new head coach and decided on Oklahoma State’s Jimmy Johnson, who would lead the ‘Canes to their second national title and ultimately succeed Shula as the Dolphins head coach. As for the USFL itself, Trump remained convinced the league could take on the NFL in the fall. The only barrier to success, as he saw it, was the possibility that no major network would cover the league. His solution was to file an antitrust suit against the NFL, charging that it held an unfair monopoly over professional football in the fall. Some old-line USFL leaders, most notably the Bandits’ Basset, opposed the effort, but Bassett was suffering from brain cancer and no longer able to block Trump’s plans. The USFL filed an antitrust suit against the established league – and won. The only catch: The jury found that, though the NFL violated antitrust laws, the USFL had not demonstrated those practices caused the league undue economic harm. The jurors awarded the USFL $1 in damages. Without the bounty from the antitrust lawsuit, the USFL folded in a matter of weeks. Many of the stars on its rosters, most notably Walker, Jim Kelly and Reggie White, went on to great NFL careers. Two ironies were left in its wake, one for Florida and one for Trump himself. Had the league survived, it would have fielded just 12 teams, and three would have been in Florida. 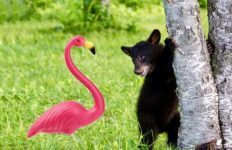 The Sunshine State would have been the epicenter of the fledgling league. For Trump, his Generals likely would have been the USFL’s unquestioned power house. Whatever else you want to say about his ownership, the team steadily improved under his leadership, and shortly after the 1985 season, he engineered a merger between the Generals and the Houston Gamblers, the most successful of the 1984 expansion squads. He would have had Kelly as the starting quarterback and Doug Flutie as his back-up. They would have had Walker too and a great Gamblers receiving core that featured future NFL stars. Thinking back to the San Francisco 49ers and Chicago Bears teams of that era, Trump was probably exaggerating. But this time, not by much.